Convictions for careless driving tickets will cause insurance rates to increase and include licence suspensions for novice drivers. G1 and G2 licence holders upon conviction will receive a drivers licence suspension for thirty (30) days. Careless driving tickets are given out by police officers where “the officer believes, the driver has driven without due care and attention” or has been driving without consideration for other drivers. The interpretation of the driving act is made by the police officer. Where the driver decides to dispute the charge a Justice of the Peace makes a determination as whether the officer was correct or not. 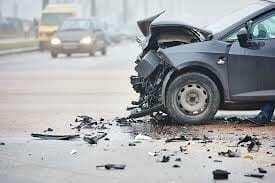 Careless driving tickets can be given for many circumstances but are usually issued for traffic accidents or where the officer believes the driver has committed two or more driving infractions, e.g speeding and making unsafe lane changes. Where you choose to fight a careless driving charge, the most important thing to be aware of is that you will bear the burden of proof. That means you will have to convince the judge that your actions were not careless or dangerous, and that the police officer’s assessment of the situation was wrong. Licensed and insured paralegals by the Law Society of Upper Canada. A legal team with actual court experience fighting careless driving in Ontario. We’ll discuss your ticket with you, and show you how we can fight your ticket and work to have your careless driving charge dropped. One of our former officers and paralegals will be assigned to work with you from beginning to win. If you have received a careless driving ticket, do everything possible to keep the charge off of your driving record and insurance, give us a call. ★★★★★ I got a careless driving ticket last year in December and was called yesterday to tell me I have been cleared of the ticket and no points were taken off! My father recommended them to me as he’s used OTT in the past for his speeding tickets. The environment and staff were very professional. Jessica Romano Toronto. At OTT Legal we fight careless driving tickets. Our goal is to win your case and have the charge dismissed. Where we are unable to have the ticket canceled, we can usually have the charge reduced so you are not convicted of careless driving and save your demerit points and insurance rates. no additional charges, reasonable one time fee for your case. with a written report after your case is finished. When you fight a careless driving ticket, the police officer has to present evidence to the court that the driving actions were careless or showed that the driver “was just not driving careful enough”. We tell you the total cost of representing you, with no hidden fees. You can either come to one of our offices or email us the ticket. You can pay in cash, credit card, debit, cheque or email money transfer. We enter a plea of not guilty to the charge. The court sends you a copy of the trial notice. You forward the trial notice to us. We then prepare the case for trial. We order the officers notes (disclosure) and prepare any legal arguments. We follow up with any questions you may have about your ticket. we appear for you. In most cases you are not required to attend court. if you do have a legal defence, we may ask that you appear to ensure the best chance to win. we argue your case and follow your instructions in the written agreement. after the trial we send you a written accounting of what happened at court. we work to get your careless driving ticket dropped.